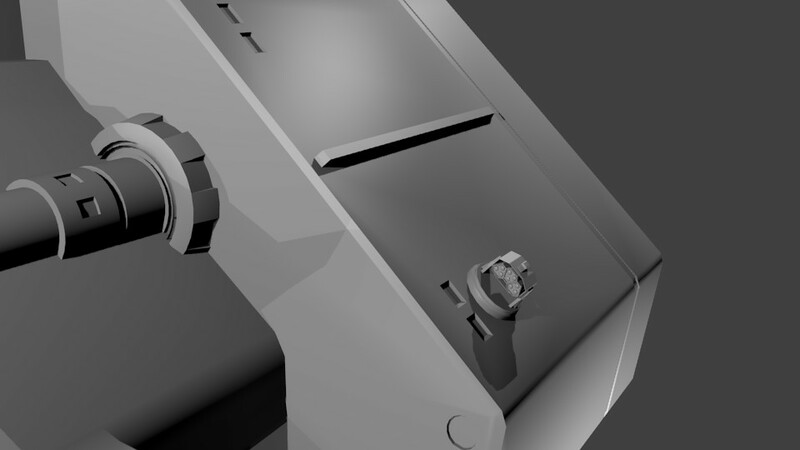 We first shared tmetal's Thingiverse creations last year, and now KillerTigger has brought those virtual designs into the real world. 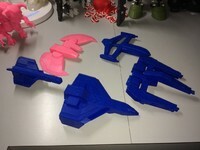 The ships looked good in the original rendered images, but now we can see just how sharp they are when 3D printed. 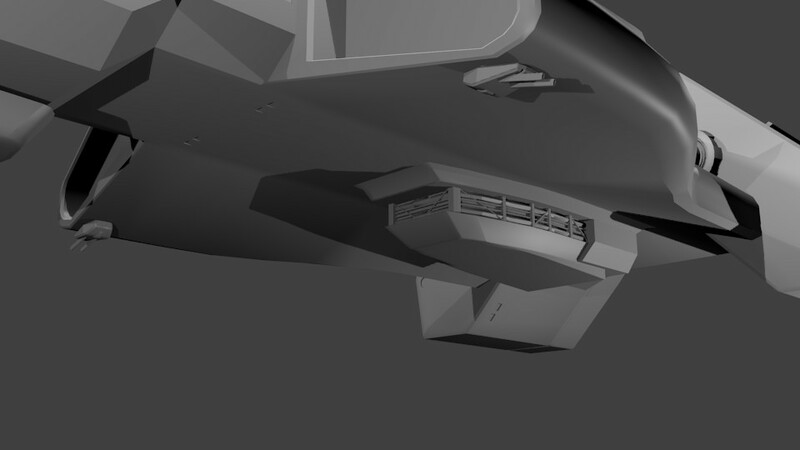 Lots of little detail is visible, and even some of the narrow support structure and gun emplacements on fighters like the Piranha and Banshee appears to hold together well. They just need to get the heck out of that Pinky Demon's way! Grab the 3D files for your own printer here. 3D printed ships - Kilrathi vs. Colonials! 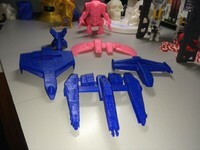 Blue is Elephant PLA, pink is Bumat. Klavs has built another Kilrathi model, and this time out it's the Kilrathi Kamrani class corvette. 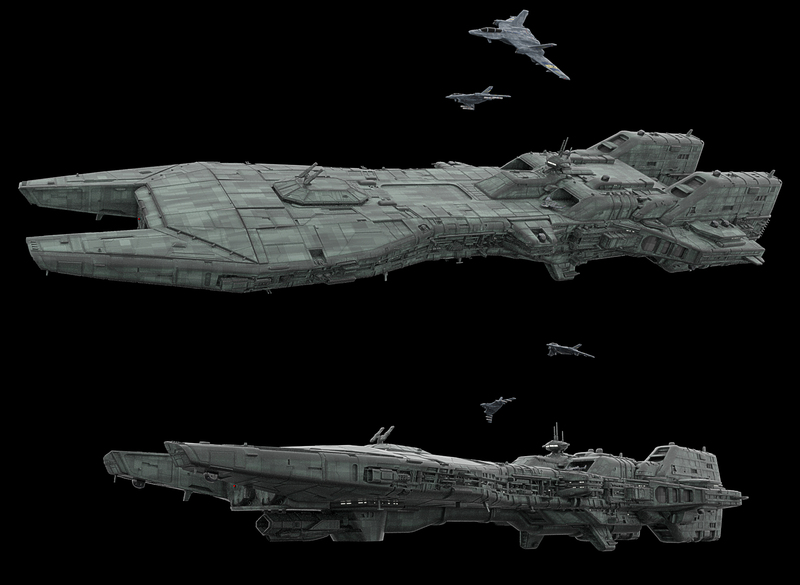 Throughout the vast majority of fan projects, it's the destroyers, cruisers and dreadnoughts that seem to get all of the artists' attention. 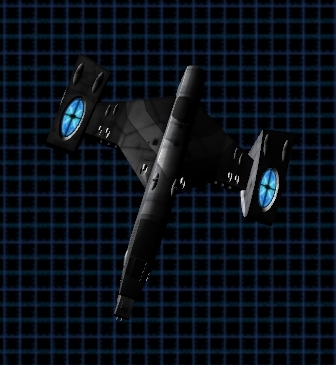 But enemy corvettes are everywhere in Wing Commander 3 and they're a surprisingly formidable opponent for the size. 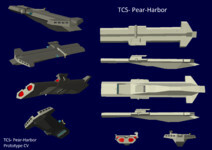 That darn tachyon gun in the rear made it harder to approach than ships with twice the armament. 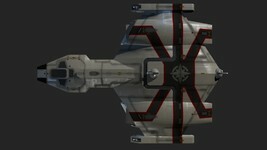 No matter what project this ship finds its way into, Confed pilots will have to rethink their attack runs now! 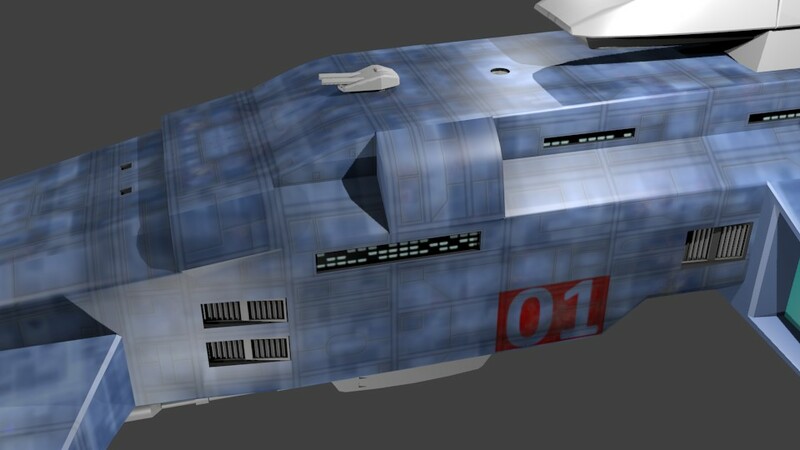 DefianceIndustries has taken a stab at creating an original design for the WC Homeworld mod that heavily draws on Wing Commander sources. The intent was to put together an all new take on the sometimes confusing Gettysburg cruisers. 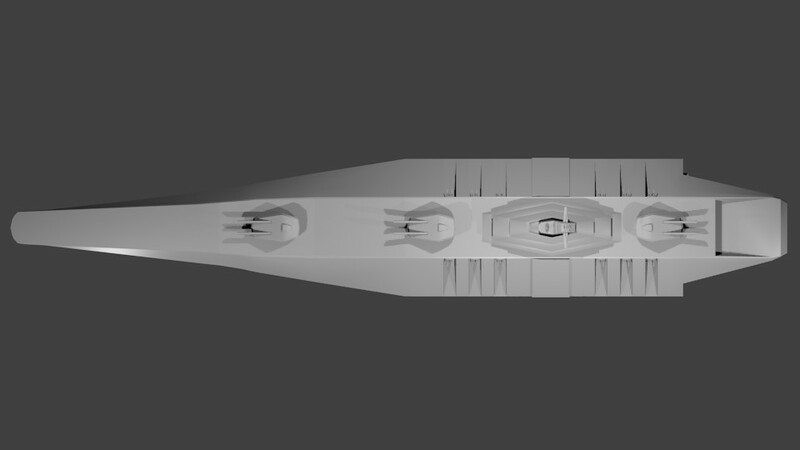 Although the Gettysburg class TCS Austin is depicted by the (360 meter) Exeter model in The Secret Missions 2, Freedom Flight describes it as larger than a (500 meter long) Fralthi. DI started fresh with a hull that's somewhat similar to the Concordia supercruiser seen in the WC Movie, but it also has a lot in common with the Evansville from WC4, so it could fit well with the game's Black Lance faction. 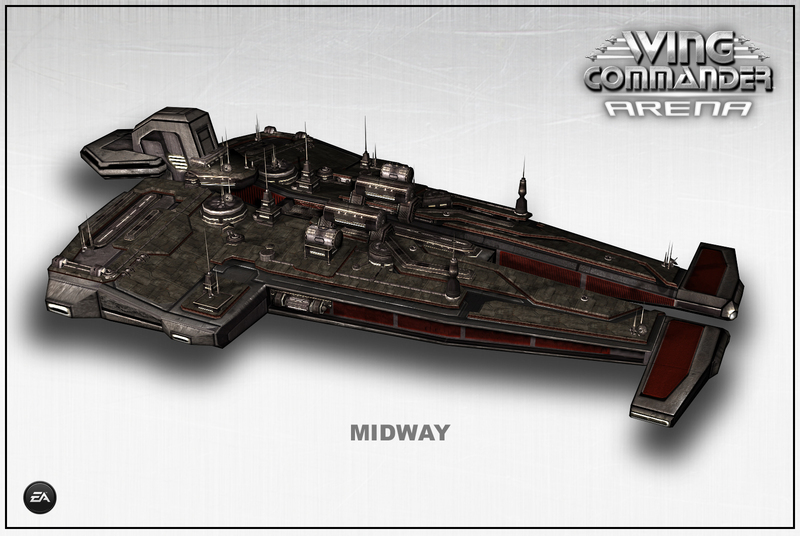 The cannon arsenal looks tremendous, so no matter where it ends up, this is not a ship to mess with! 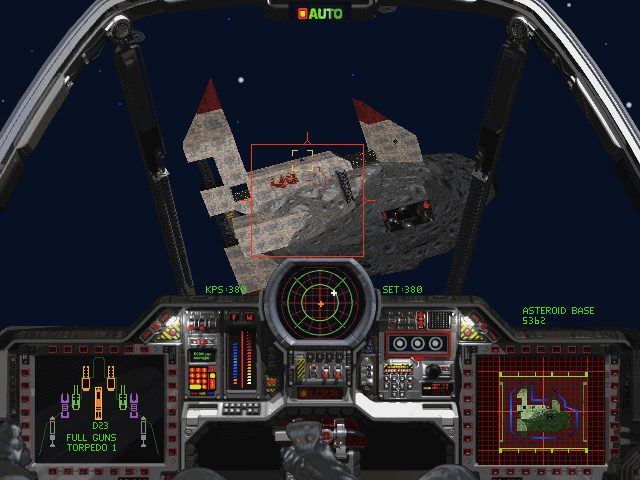 The retro blog Emotional Multimedia Ride has followed up on their WC1 and WC2 piece with a long look at Wing Commander 3 for PC. Like the one before it, this article touches all the bases with an overview of the main cast, the quality of the graphics and video, reflections on the gameplay mechanics and the way the player's actions (directly through conversation choices or indirectly through mission performance) impacts the storyline. 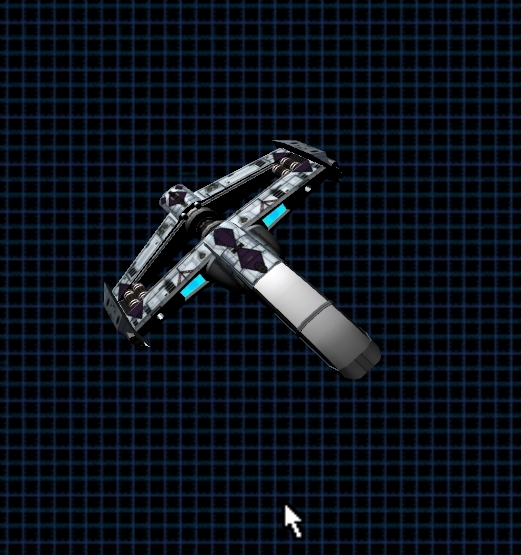 Technically, the game is a two-sided sword. On the one hand, the orchestral soundtrack is amazing and adds much to the cinematic flair, although the repetitive one-liners of the pilots’ communication channel can get annoying quite fast. The ship designs are detailed even up close with explosions looking particularly cool, while the game runs much smoother on modern systems thanks to DOSBox, compared to the slideshow or blink-of-an-eye-and-your-dead experience of the first two games. 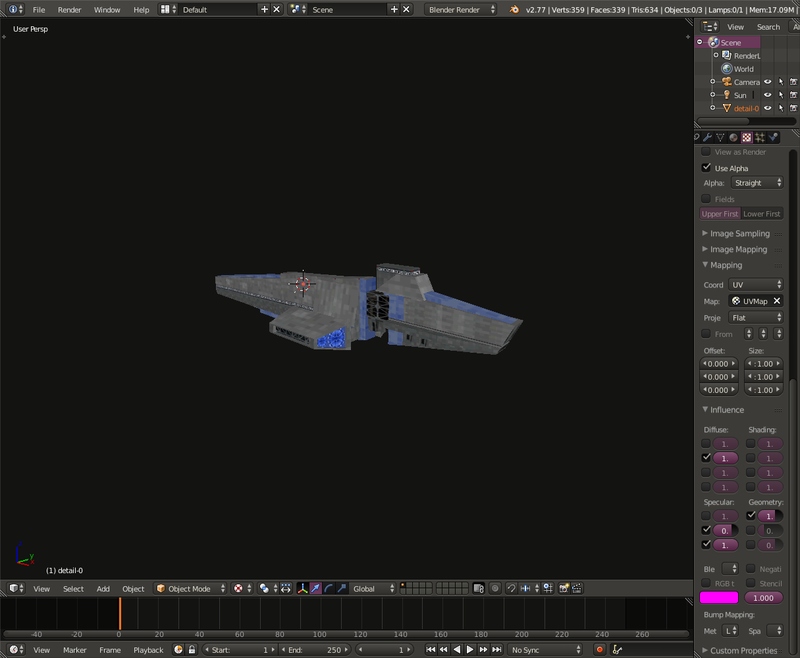 On the other hand, the low resolution of the full motion videos makes them a pain for the eyes to watch at times. The PC version of Wing 3 has heavily compressed full motion video compared to the PlayStation port. 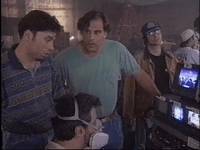 We've made a comprehensive movie index from this higher quality source, including some scenes that were cut from the PC edition. Check it out here. The DosGamesBlog YouTube channel has posted a compilation video of behind the scenes footage from Wing Commander 4. The video doesn't specify a source for their material, but we know that a 1996 issue of CD-Rom magazine MultiMedia World Live! 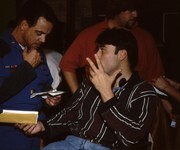 contained seven brief videos in which interviews with the cast and Chris Roberts are interspersed with scenes from the set. There was even a short blooper reel. 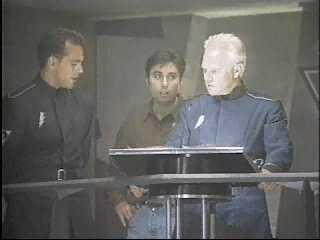 We reported on that in 2005 and the videos were later included in the WC4 making of section of the Holovids video archive. That section also features a much longer, German-language video from behind the scenes of Wing 4 where you get a really good look at the set and props. Space Game Junkie recently managed to score one of the legendary Roland MT-32 sound modules, and he's put together a new video to provide a comparison and show off how he got it working. 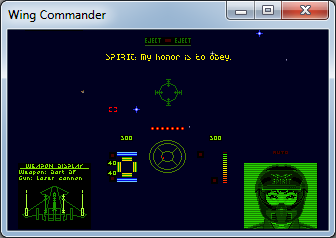 While it's possible to emulate and tweak your way to some pretty great sounding music in Wing Commander games, this is the real deal. An especially cool feature here is that Brian points an embedded camera at the device while firing up some classic space games. 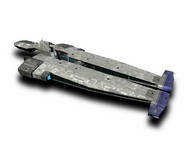 If you haven't seen one of these in action, it's something you've got to check out. 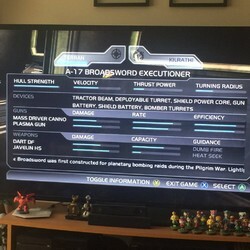 The little display that shows off game and music information ("Origin Sound System!") is just awesome. 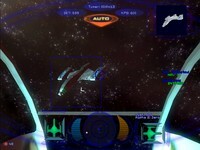 You can jump forward to 7:30 for the Wing Commander part, but it's worth checking out the full video. He's got it working with the GOG version of WC1&2, so just about anyone (with the right hardware) can make this happen. Hey friends! If you follow me at all on social media, you know I recently got a vintage (i.e. 1988-1989) Roland MT-32 Midi Sound Module. Why did I get this? Blame Joe at the Upper Memory Block Podcast (http://umbcast.com/). Also, massive thanks to Joe for helping me get it to work. :) Anyway, he showed off one for his Day of the Tentacle show, and once I saw it was supported by TIE Fighter and the first two Wing Commanders, I had to have it. 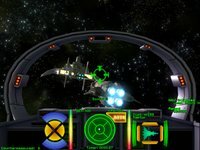 After a ton of work getting it to properly run, I've been running it in a variety of games. I'm so giddy about it I wanted to share it with y'all, so I hope you enjoy this little jaunt to the past. :) Thanks for watching! 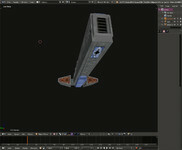 Kevin Caccamo has finalized and released the latest version of Wing Blender. Version 1.6.2 adds support for additional file types that allow access to things like the unused Callisto Cruiser. Fans are using the tool to do some pretty incredible things - it's pretty great to see how Wingnuts are building on each other to achieve even greater heights! Grab it here. This is a patch release that adds importer support for v9 meshes (CALLISTO.IFF, TERRAIN.IFF, PV256.IFF, SHDALIEN.IFF, SHIELDFX.IFF). DefianceIndustries has started texturing the Cerberus, and so far it's coming along nicely. 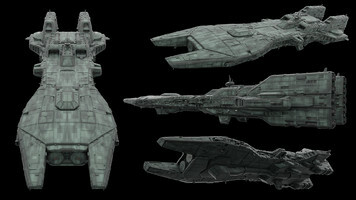 A couple different hull plating variants are pictured below with the later shots being the likely final candidate. 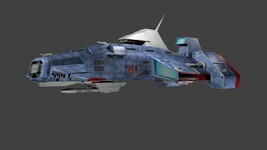 The material has kind of a retro marbled pattern combined with a bit of futuristic gloss and red accents. 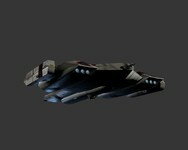 Now when that big Mark IV Heavy Plasma Gun gets blasting, it'll do so in style! 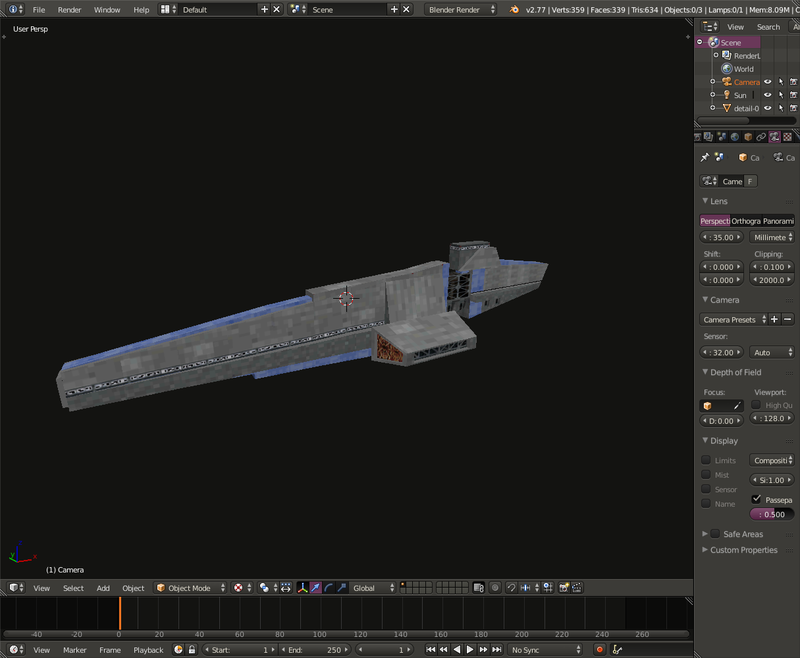 Quick update: started the texturing.... 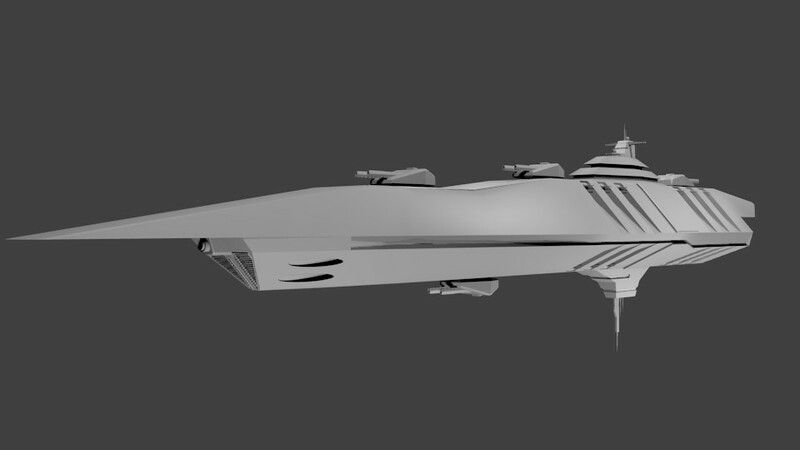 I've finally decided on a hull pattern that I like. 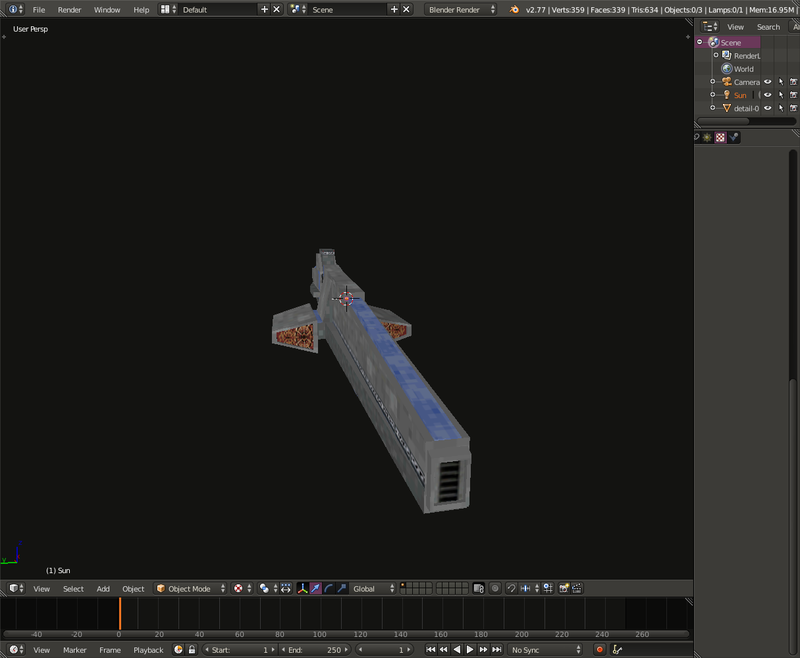 Now that I've gotten that out of the way I can finish the texture. It was strangely harder than I thought to get something that looked similar to this, but in keeping with the rest of the Confed models for the MUP. So the paneling is actually a bit understated. Arraen has pulled together a neat video that shows off the remodeled fleet of his strategy game, WC Spaceship Universe. Each of his four workhorses are encircled so that fans can see them cruising through space in his Unity engine. 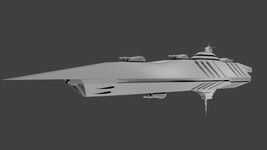 The project has gone through a few evolutionary upgrades that have stretched out the development timeline, but the results evident now look pretty good! Hey, guys! 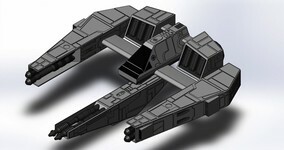 I want to show you quick video with flight-ready ships. 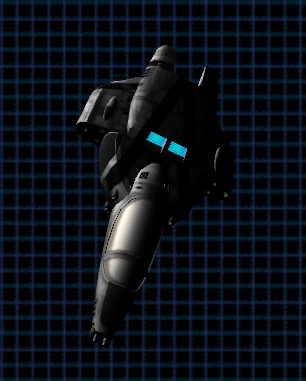 You can see updated models from Klavs81's pack. E.g. 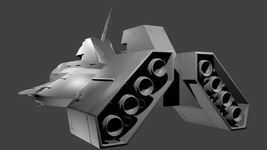 I added some turrets for venture and ralari, lights and engines exhausts. 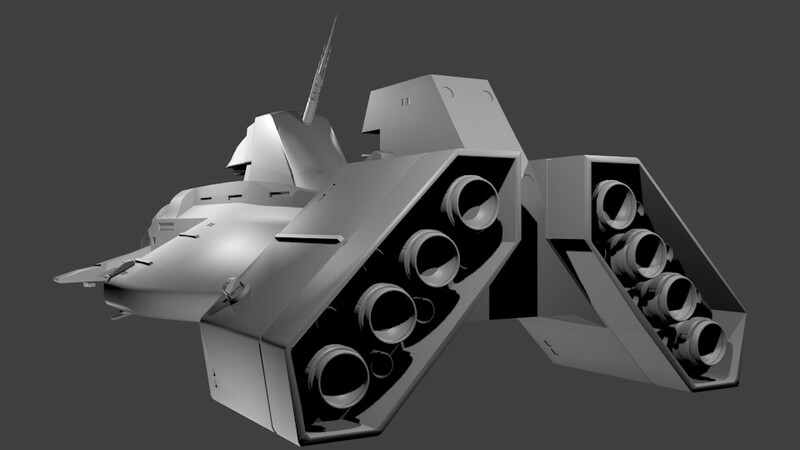 Also I made turrets as separate objects so they are fully operational. 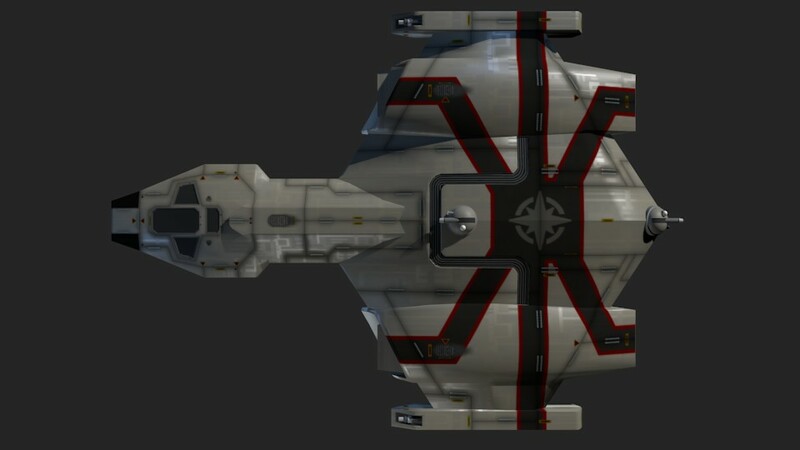 Klavs has posted a new angle on his developing Concordia model, and this time it comes with a piece of accompanying fiction. 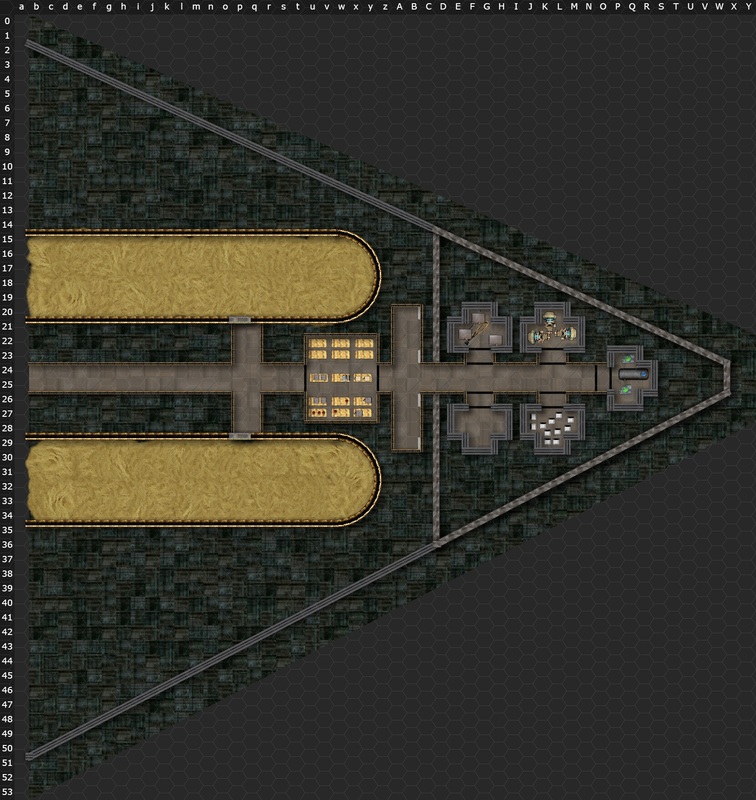 When asked whether the ship's familiar hangar opening runways will make a return, he let a member of the crew answer with a pretty interesting response! After clicking the thumbnail below to get a better look, also don't forget to hit "download" and then zoom in on the detail. There's too much great stuff to just admire from afar! "They're not really 'runways'. 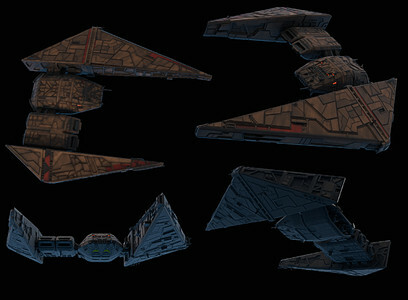 They're catapult configured tractor beam arrays that we use to accelerate strike craft for launch and recovery. 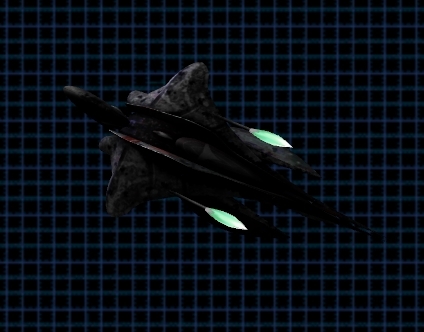 In a standard atmosphere, the fighters would very easily be going supersonic (and then some) due to the acceleration we give them. The pilot doesn't really feel that thanks to their IC rig, but we can save eardrums and spare thermal damage by doing it out in the vac. 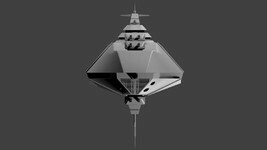 Even with the added bonus of ramscoops, for small ships with limited propellant, any 'free' delta V we can impart equates to gas they can use to fight, and still have plenty left for rendezvous and recovery." 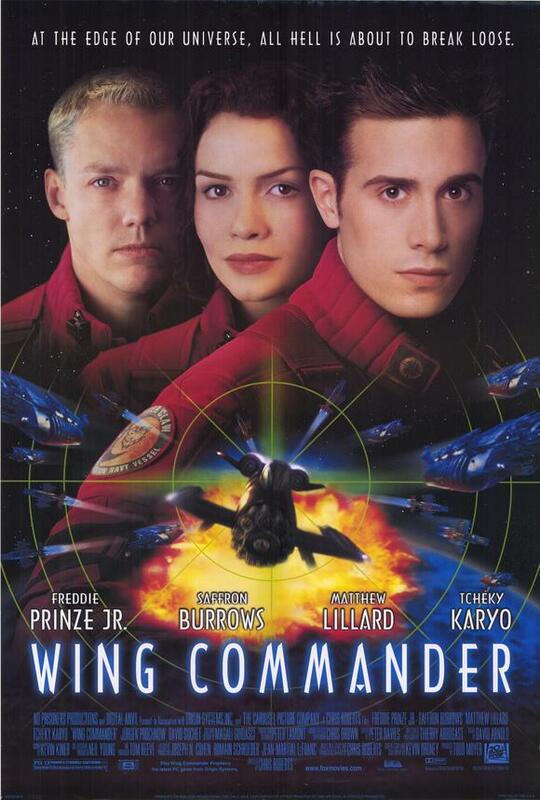 Get Your Wing Commander Film Posters From... Sears? 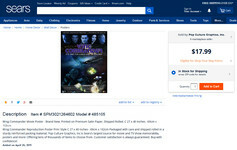 AD noticed that some unusual Wing Commander search results appear at the websites of some major big box retailers. 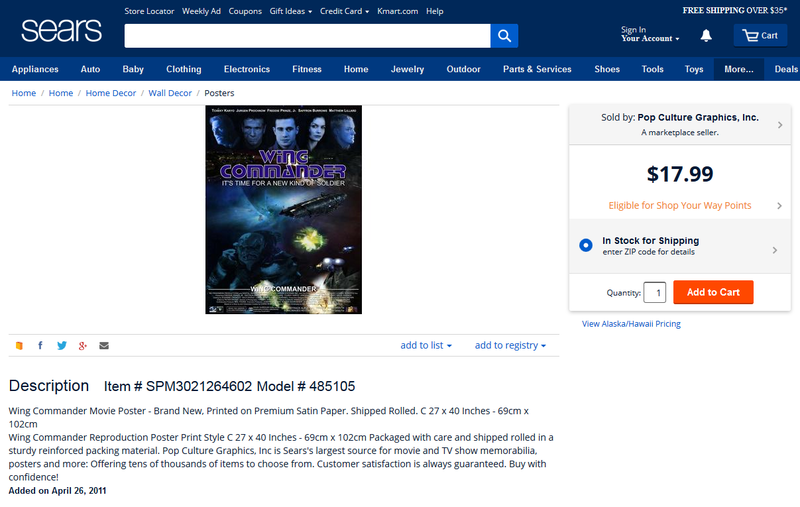 It's not hard to find copies of Wing Commander on Blu-ray or DVD in stock all around the web, but both Sears and Walmart list Wing Commander Movie posters that have been out of print for some seventeen years. Unfortunately, this does not signal any particular release, but rather, these retailers allow private "marketplace" type sellers to list a wide variety of goods. It seems like they'd have much more success listing their products at more conventional sites like eBay or Amazon, but their marketing choices have contributed to the proliferation of WC goods across the web. And hey, if you need a WC poster, only fifteen bucks. A few Alternate versions are also available for $17.99 - including a sketchy bootleg of some fan art we posted back in 1999! 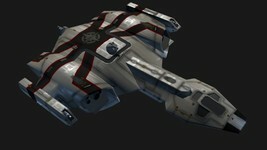 This is a brand new single sided reproduction print of a Wing Commander. The paper size is approximately. The condition of this item is brand new - mint condition. No pinholes or tape and has never been hung or displayed. 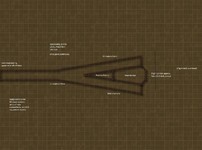 Paper size may not be exact so we recommend waiting until you receive the poster to purchase a frame. This quality reproduction makes a great gift and is perfect for framing. 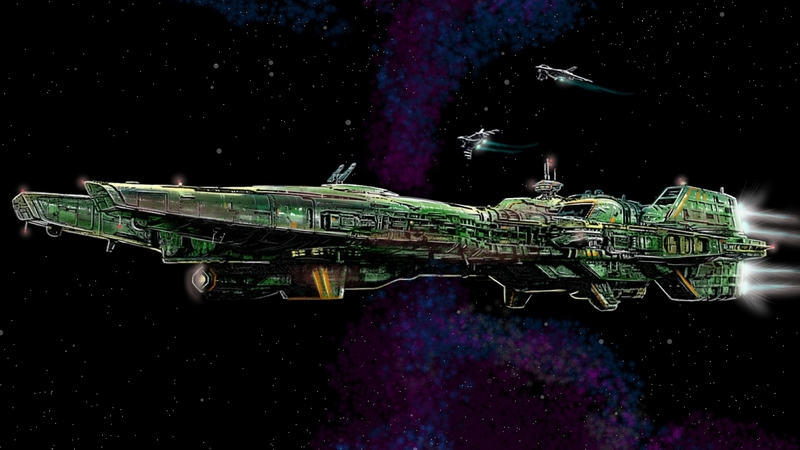 Wing Commander is a licensed reproduction that was printed on Premium Heavy Stock Paper which captures all of the vivid colors and details of the original. The overall paper size is 27.00 x 40.00 inches and the image size is 27.00 x 40.00 inches. This print is ready for hanging or framing. 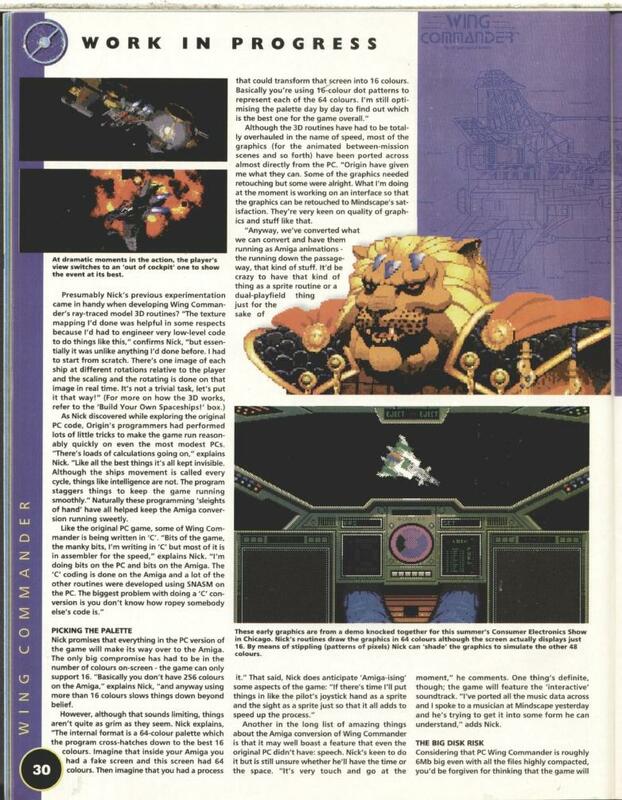 The May issue of German PC gaming magazine GameStar contains a big Wing Commander retrospective, including an interview with Star Citizen community manager and CIC founder Ben Lesnick. Brian Chambers of Star Citizen's Frankfurt branch shared a teaser on Twitter. Pick up a copy if you can! 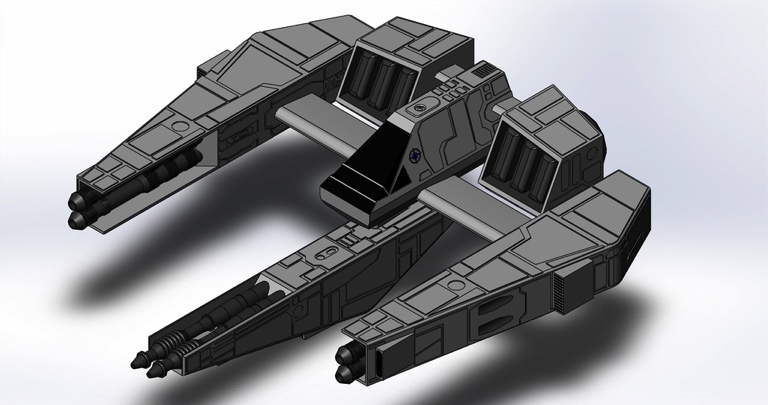 And in case you missed it earlier, Big Box PC Game Collectors also spent an hour interviewing Ben about Wing Commander, the CIC, and working with Chris Roberts on Star Citizen. I was curious and wanted to get a better idea of what is going on behind the scene during gameplay. 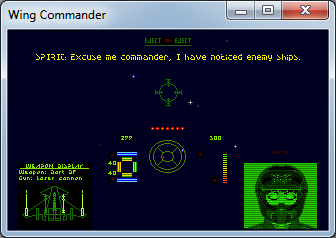 So I put together this little program that allows to see some of the data as the game is running; it only supports Kilrathi Saga (WC1.EXE and wing1.exe). Using S01M0 as an example, we arrive at Nav1 and we notice three Dralthi ships on patrol (object index 2, 3, 4). The wingleader (index 2) is wandering and is on the look-out for enemies. 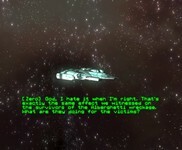 The Kilrathi wingleader notices our hero (index 0, our ship is always index 0). The Dralthi wing breaks formation. I order Spirit to attack and she breaks formation while the Kilrathi decide to engage us. A glorious dogfight ensues and we emerge victorious. 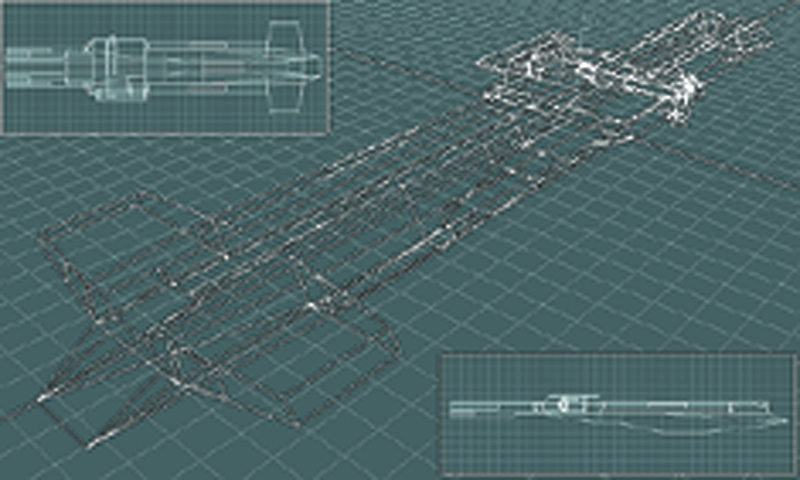 Throughout the course of the dogfight, you will see entries for weapons fire, explosions, engine exhausts, etc. 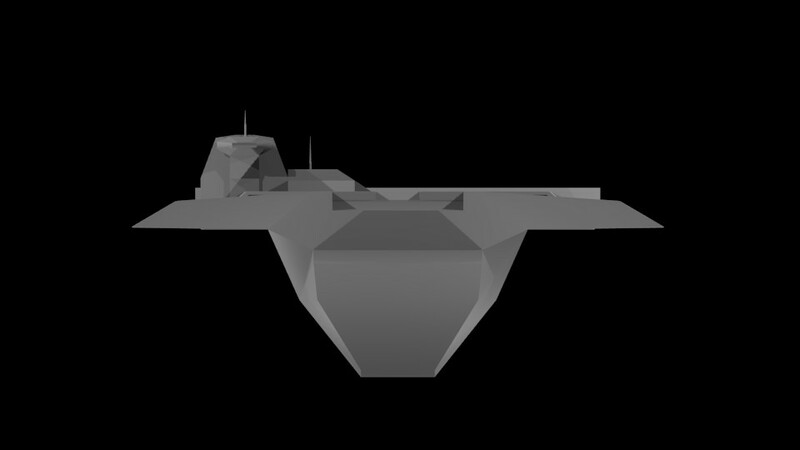 Everything in space flight is an object: ships, gun projectiles, asteroids, stars, etc. 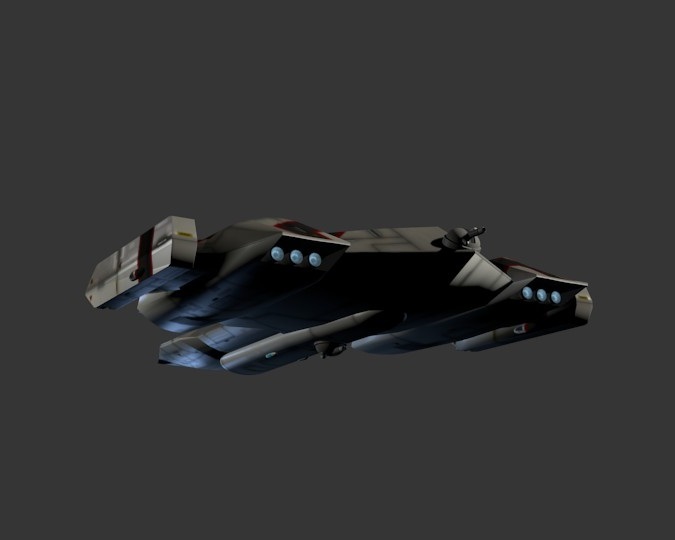 FMVStory has posted a couple of really cool set visits for Wing Commander 3 and Privateer 2. 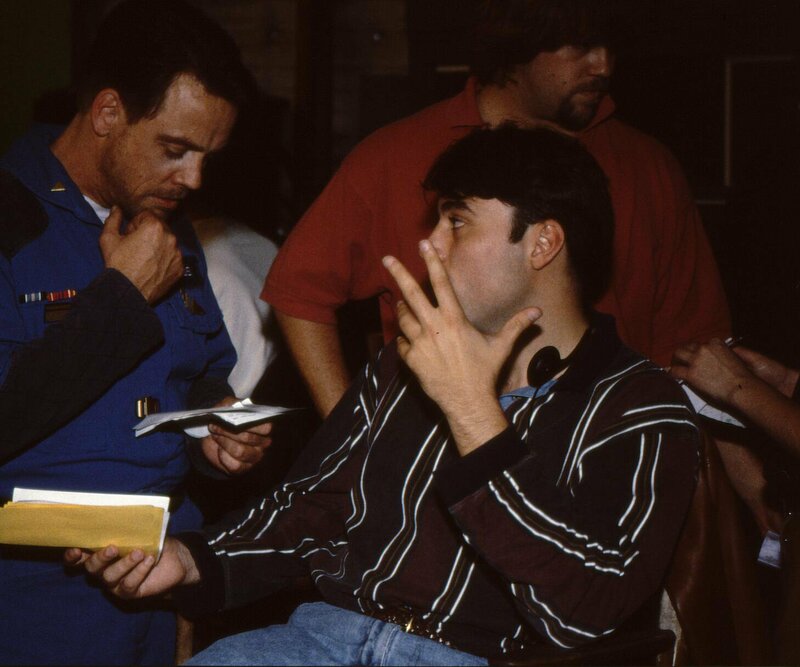 The clips come from Bad Influence, a '90s show that covered tech items and video games. A lot of people are familiar with the WC3 Behind the Screens footage, but the first video below shows a few really neat and rarely seen glimpses of the Kilrathi animatronics in action. 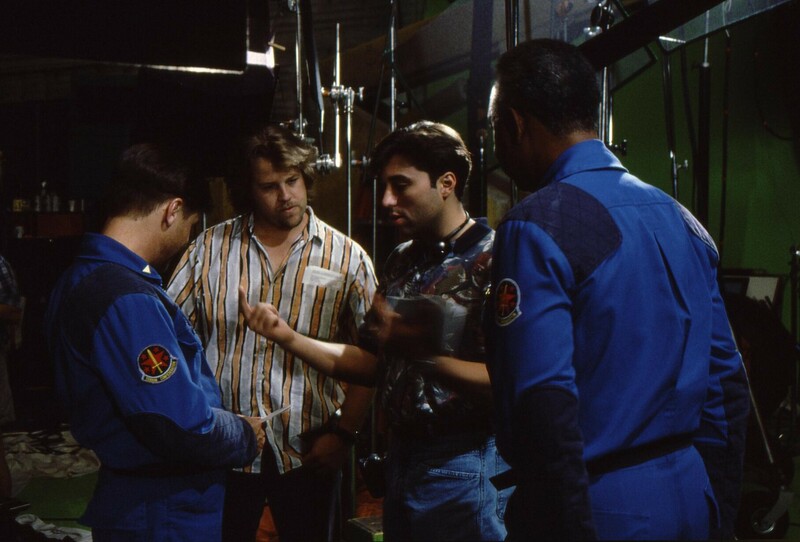 The Privateer episode starts out introducing Pinewood Studios and then jumps into some exclusive peeks at the recording sessions with Clive Owen. It's really good stuff! 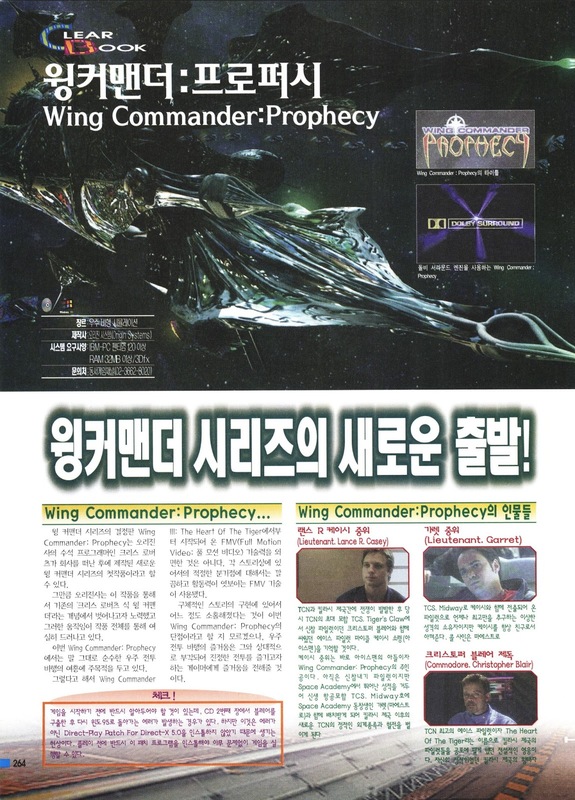 Kevin Caccamo has made a cool discovery while digging through the guts of Wing Commander Prophecy. 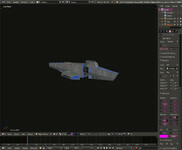 Using a modified version of Wing Blender, he was able to import an unusual ship file. The result is a preliminary version of a rarely seen Confed cruiser that did not appear in the final game. Little fuzzy glimpses have leaked out here and there, but these are the best shots I can recall. 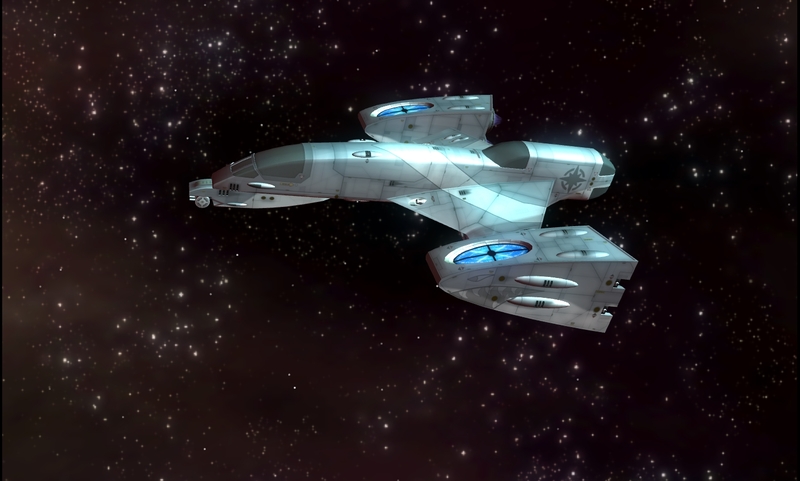 Although it doesn't appear that the ship is polished to nearly the level of the other capships in the game, it's still pretty solid. It's thought that this design was at one time intended to be seen in the losing track of WCP, but ultimately the Callisto Station comm relay was used in the Hellespont System instead. It's great to finally see the original Callisto! OMG! Look what I found. 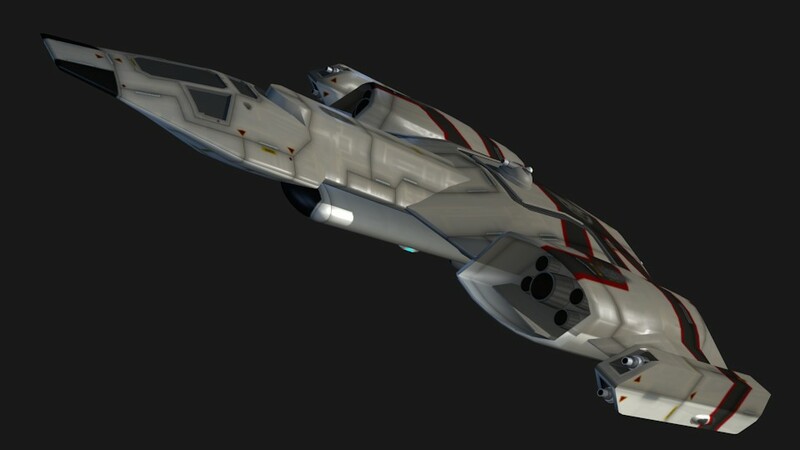 This model is CALLISTO.IFF, which I was recently able to import into Blender, after some investigation into the v9 mesh format, and a few changes to my Wing Blender importer code. 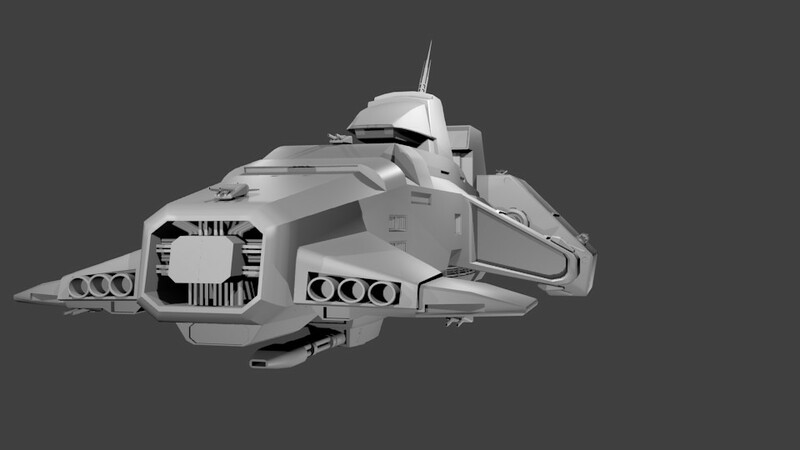 DefianceIndustries has taken a break from player pilotable craft for a moment to work on the most iconic ship of Secret Ops, the TCS Cerberus. 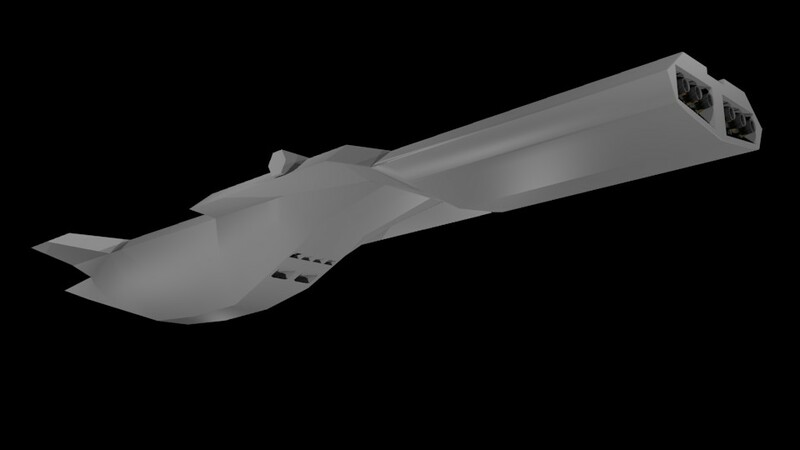 He's got the shape down pat, and now he's adding subcomponent details throughout the model. 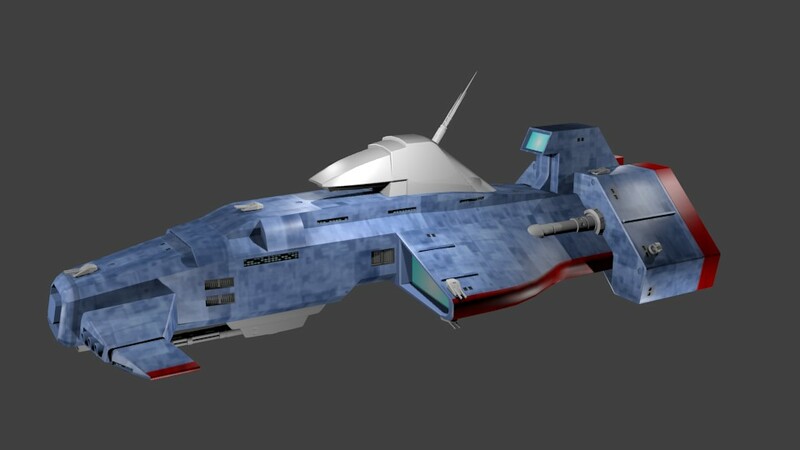 Compared to the Midway and other contemporary capships, the Hades class had a cool blue hull with neat red accents, so we're anxious to see how this one comes out with texturing on! Work continues in Bartok Designs shipyards... 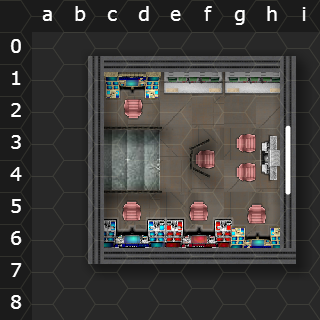 I've added the engines, tachyon and missile emplacements and finished out the recovery deck. 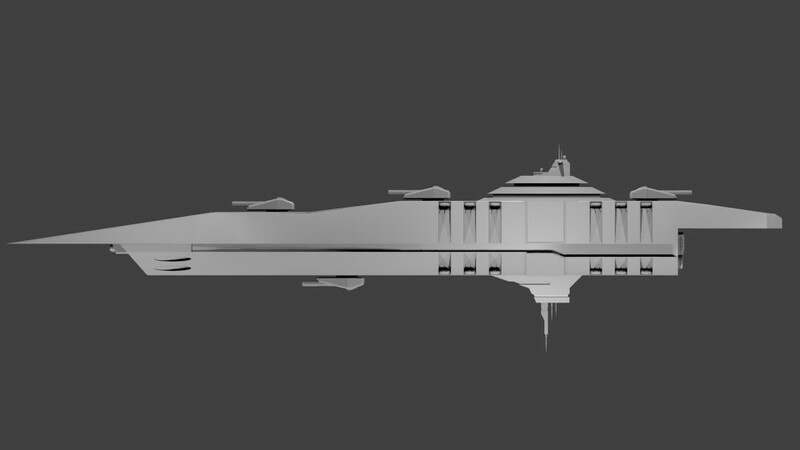 All it needs now are some laser turrets and a coat of paint. 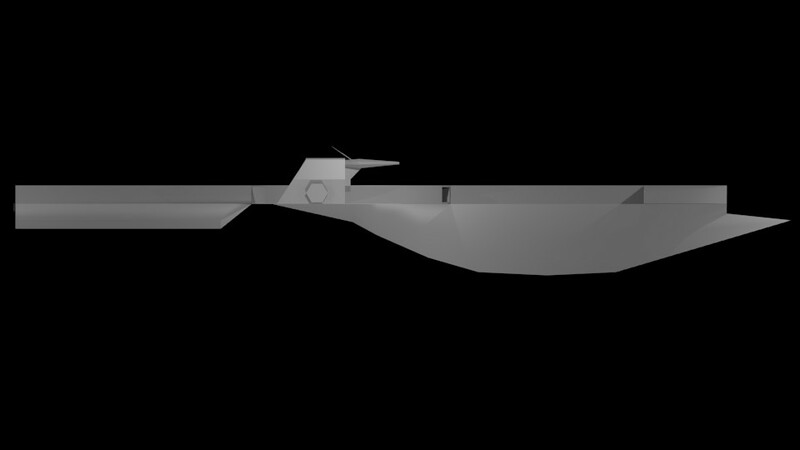 So that whole 10K limit...yeah, thus far the finished product clocks in at 38K faces. I may have to do some decimation to try and bring that down, but I'm a bit loathe to do it, since it's the most visible cap ship in the game. I'll try it as is and if it causes stability issues I'll revisit it at that point. 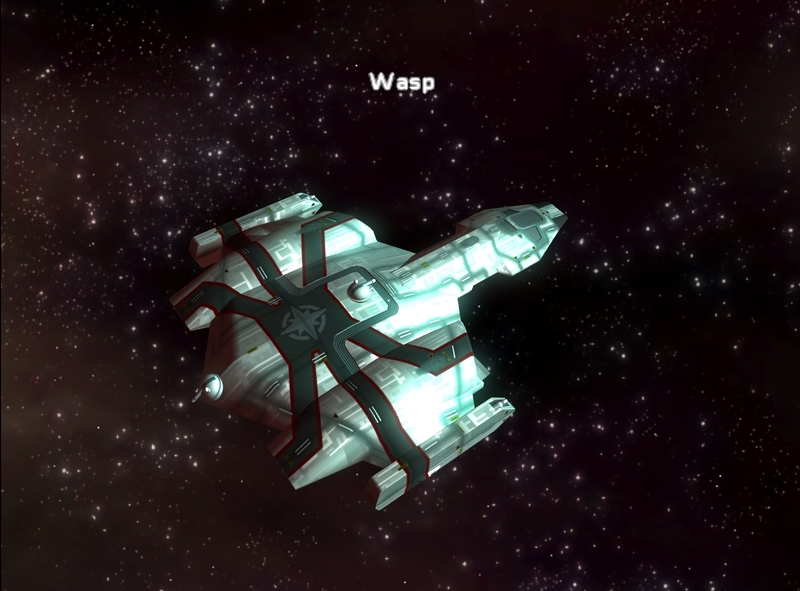 Granted, @gr1mre4per threw 80K polys' worth of Galactica in the game and it ran fine so we'll see. 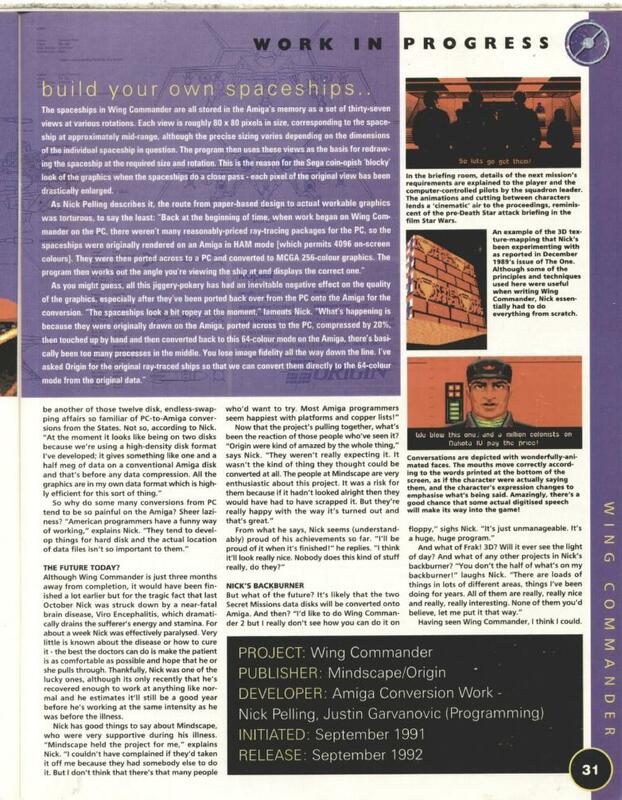 Janne Rautiainen tipped us off about a really cool July 1992 article on the development of Wing Commander for the Amiga platform. 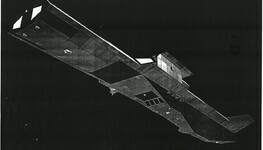 The piece was originally published in Britain's The One magazine and is saved at archive.org. 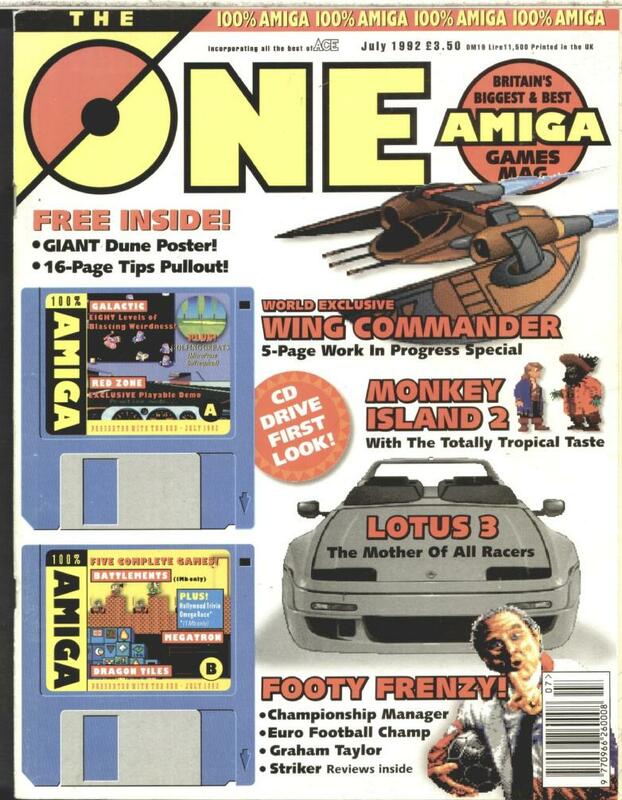 What's really interesting is the challenge that the lead programmer, Nick Pelling, faced in porting the technically demanding game to the relatively underpowered 7.16 MHz Amiga computers. In contrast, a 386 PC running at 16 MHz was recommended. In the end, the color palette had to be scaled down, but the result was very impressive. Interestingly, they note that the dynamic music would remain intact, although rather than license Team Fat's tracks, all new music was put together by Mark Knight. They even toyed with the idea of including speech, but ultimately that only appeared in the Mega/Sega CD port. It's just amazing what they were able to do with the hardware of the day, and it's crazy to think how far we've come since then! 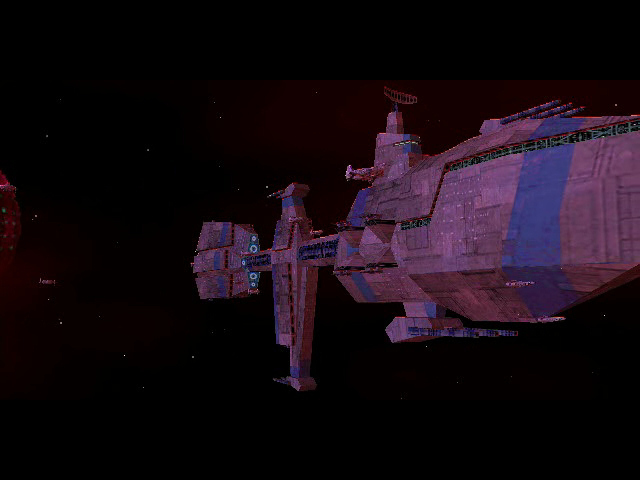 To call Wing Commander a 3D space war game is a bit like describing a Rembrandt masterpiece as a good painting. 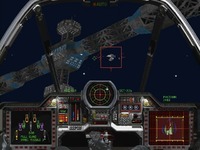 After Wing Commander, spaceflight simulations are never going to be the same again. 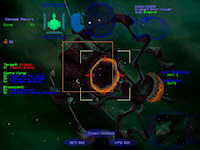 Gone are the bland polygon constructions typical of the genre. In their place are realistic ray-traced models, their surfaces festooned with authentic-looking markings and details. 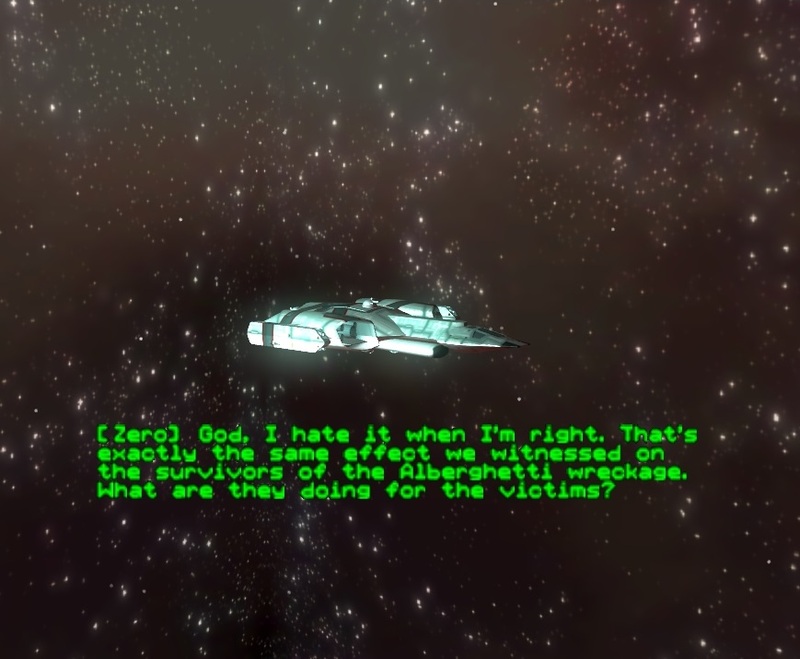 Between missions, new plot developments are presented using beautifully-animated graphics. 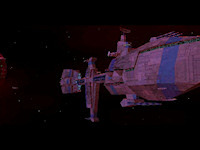 The player can do things aboard his mothership such as visit the pilots' bar and catch up on gossip or hone his dogfighting skills with the bar's video game. 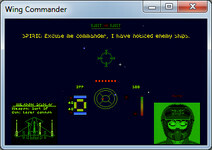 Animated briefings from the squad's leader explain the next mission's objectives in full, followed by a question and answers sessions from the player and his computer-controlled buddies. Effectively, the player is the star in his own movie! 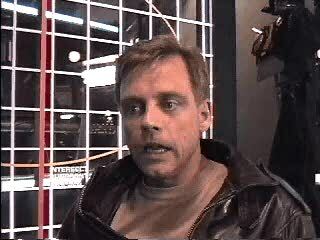 There's a new PC World interview making the rounds that takes a moment to pull Mark Hamill away from Star Wars Episode VIII filming to talk about some of the other sci-fi ventures he's been involved with over the years. 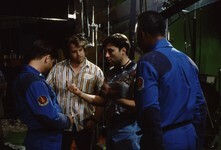 Major topics include working with Chris Roberts again as well as the shift from live FMV to motion-captured CGI video. 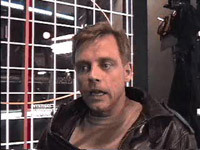 He notes that the majority of his Squadron 42 work was a reunion with John Rhys-Davies. Older articles have pointed out that his sons used to play Wing Commander in the '90s, and now he mentions that they're returning to video games in their 30s. 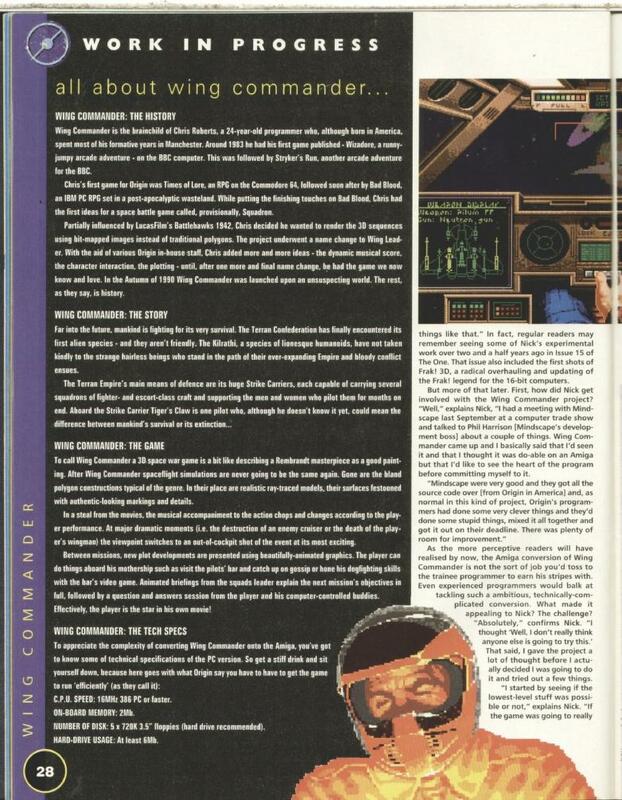 There's also a comment about how lucky he's been with Wing Commander, which was practically as lucrative as his Star Wars gigs! Check out the full article here. 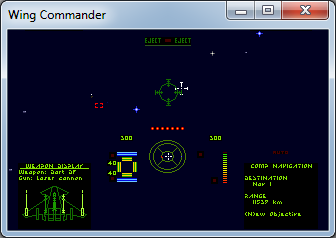 Stinger's WCDX patch streamlined and fixed a lot of minor annoyances with Kilrathi Saga WC1, and even improved the graphics rendering and compatibility with newer versions of Windows. 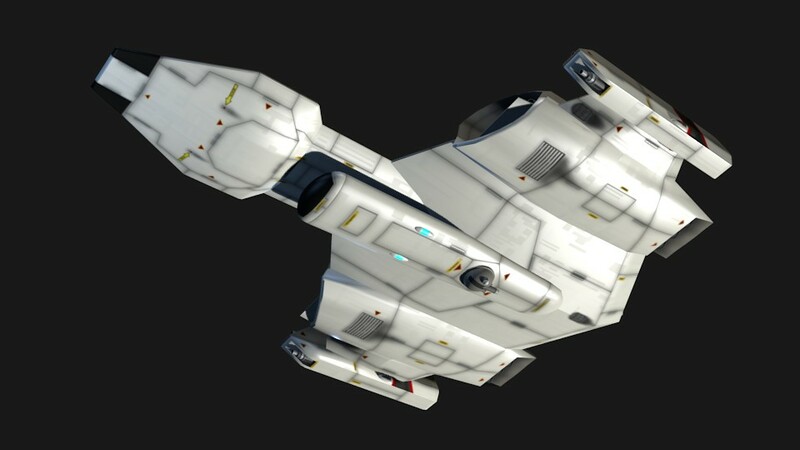 There is an early, playable version of the patch that fixes some of the issues plaguing the Wing 2 port, but getting KS WC2 up to the same level of refinement is proving to be a major undertaking. In a forums post, Stinger provides some insight into one strange aspect of the Windows port, namely its framerate. 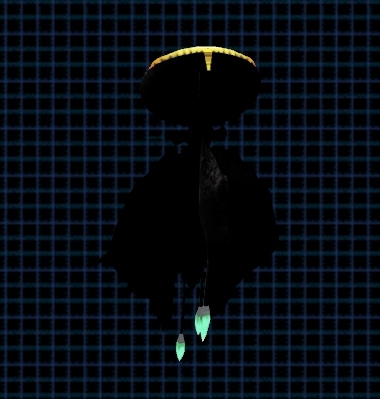 He also explains how this ties into the infamous "disembodied cockpit" glitch. One interesting conundrum: Fixing cut scene frame rates. In KS WC2, the game will change the frame rate of a cut scene as it is playing depending on whether or not there is any speech. If there's a voice, the frame rate is set relatively low in order to stay synchronized with the audio playback (I can't remember the exact number offhand, but something like 25 fps); if there's no speech, the frame rate is set all the way up at 75! 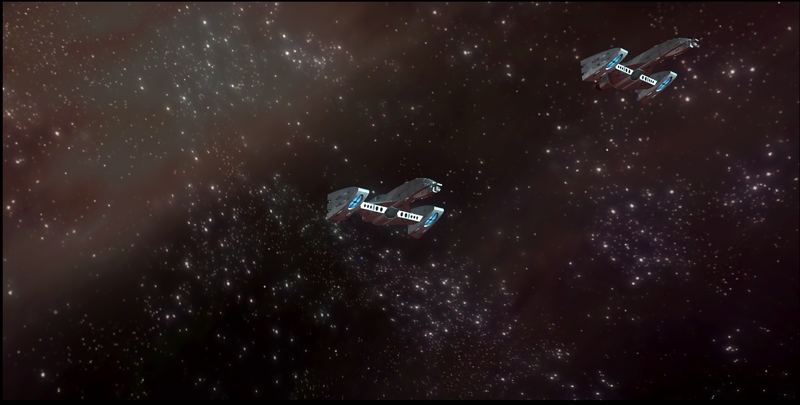 You can see this by just how fast the debris animations are playing in the space backdrops. 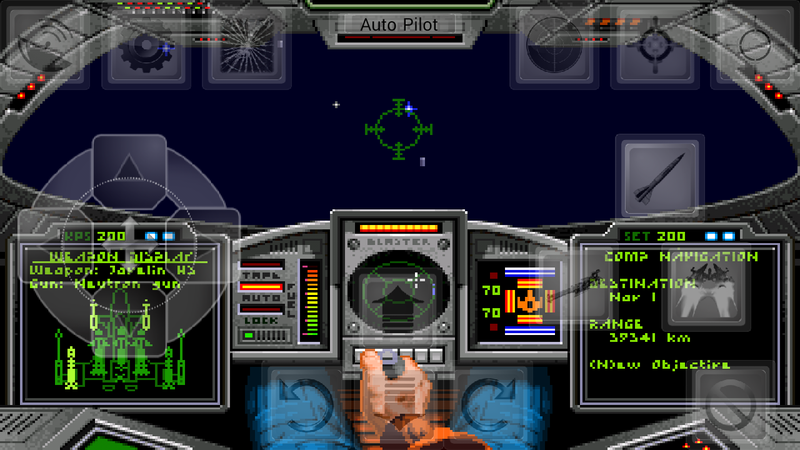 I have no idea why the devs chose such a high frame rate, but it causes a lot of problems; for instance, in some of the in-flight briefings, the player's ship animates too far into the frame and you can see the entire sprite -- just the nose and cockpit of a fighter completely detached from the rest of its body. To correct for some of these issues, the devs changed some of the timings for scene duration and so forth, but the result is pretty bad. I'd like to set a fixed frame rate for animations, but I can't do that without patching game data, and that's a big dark hole I haven't wanted to crawl down into just yet. To get an idea of the scale of the problem, try comparing the gamedat folders from your GOG install with your KS install. Some of those changes I may want to keep; some (probably most) I'd want to revert. But to know what needs changing, I first need to figure out what all that data means. 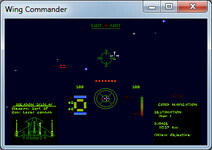 The Video Game Database website posted an interesting video of Wing Commander Arena in action. Since the game was released in 2007, it came a bit before recording and streaming things like this became common. They start the game, briefly peek at the modes, pick a ship and launch into space combat. It's not a particularly comprehensive overview, and the clip is actually about a year old, but new Arena movies are so uncommon that this is still a noteworthy sight. 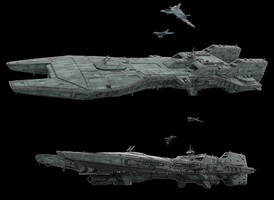 Were it to be a bit more inclusive, it'd have been nice to see more of the playable fighters and some of the variants like Meteor Storm, Satellite Defense, Bearpit or the Capital Ship assault. There's a lot of cool stuff packed into this tiny game! Learn more about it here. 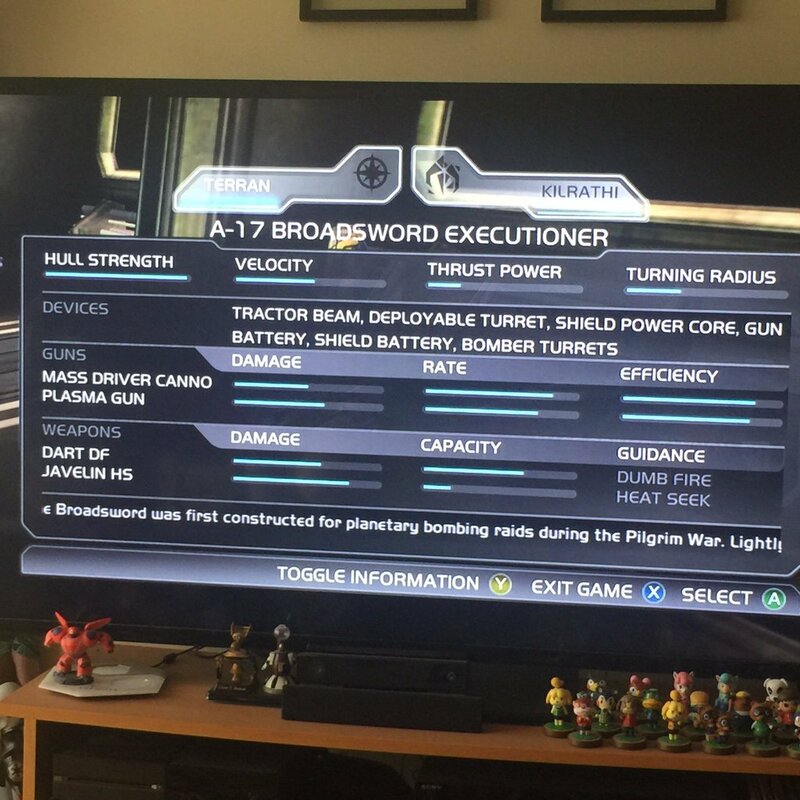 LOAF recently took this photo of Arena's ship selector with flavor text. 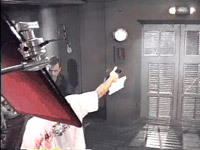 It talks about the Broadsword being used during the Pilgrim War: a nifty Movie reference - inside a WC game! DefianceIndustries has added another ship to the Cerberus' roster with the completion of the Shrike "Class B" torpedo bomber. Despite its mass, the ship has some pretty sleek curves, and its turrets help convey how much punch this ship packs. It'll definitely do some damage to any bugs trying to invade! 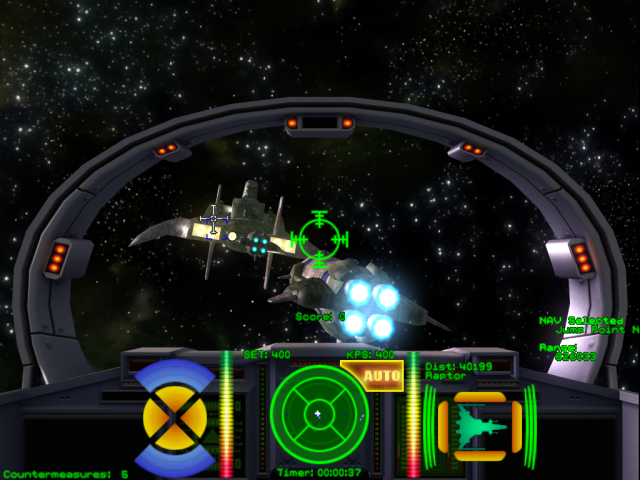 And here's how it looks in the game! NinjaLA saw Klavs' recent Concordia update (pictured right) and was so inspired that he had to personalize it on his own. 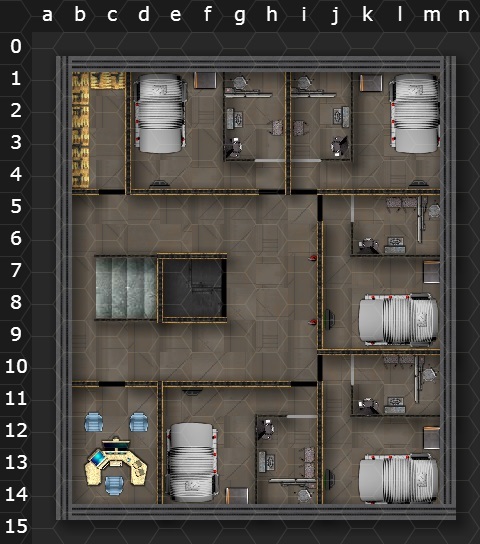 Many people have gone out and textured other artists' 3D models, but this might be a first for WC art. Ninja started with the complex render and then digitally painted in the colors, lights, details and his own visual flair. The result is gorgeous, and it turns out it didn't even take him very long to do! We haven't mentioned his project in a few months, but capi has been relentlessly adding to his WC RPG the entire time. He's spent a lot of effort beefing up encounter scenarios as well as tweaking Kilrathi language sections to match the theme of his "Elegy of Sivar" expansion. There's also been a lot of work drafting the overarching storyline narrative of Bloodeye N'Ryllis. 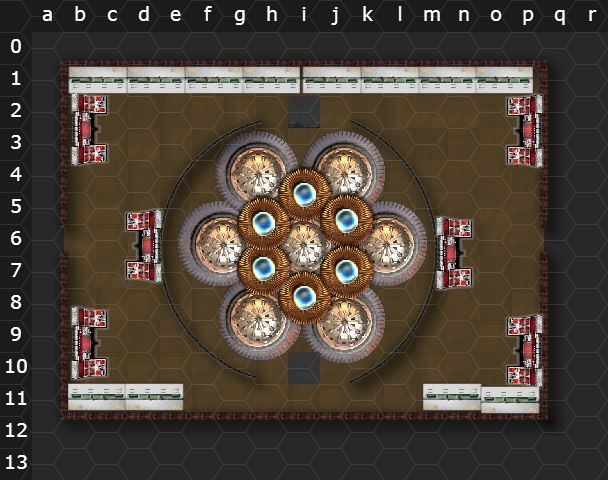 New in this module is a set of nifty Kilrathi battle boards. 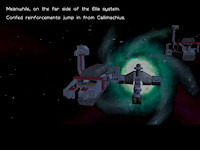 The scenes depicted here show where shipboard combat might take place aboard a Fralthi II cruiser (first three shots) and a Drayman (last three shots). 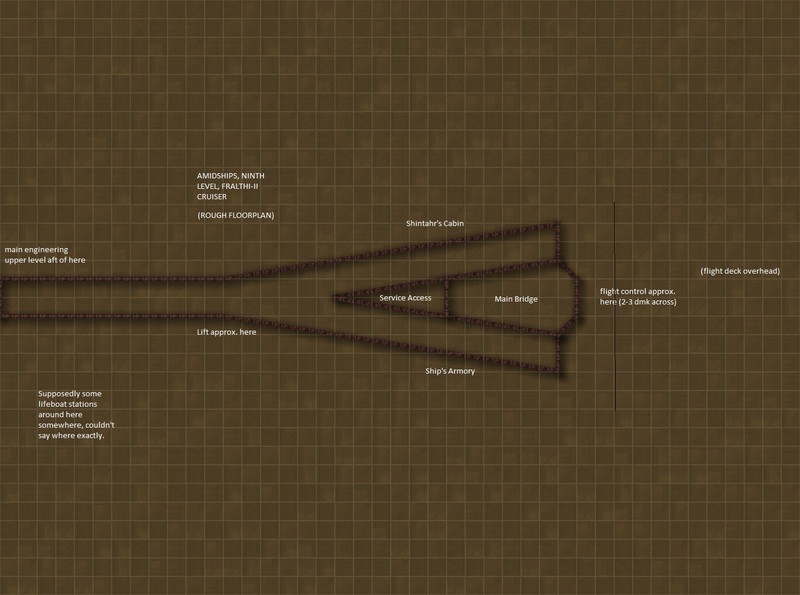 My Plan for this week (for now, anyway) is to continue work on Chapter 2.2, filling in as much basic data I have on encounter setups and resolutions, working on the prologue and making route calculations. If I can get feedback this week on Chapter 2.1 from my creative consultant I also plan on starting in on the translation of that text into Kilrathi. The translation could make substantial progress given the circumstances. I've had work on the preliminary design of the Demon's Eye base in the pipe for a few weeks now; this week could afford me a good opportunity to get that work done as well. Klavs' history with the Concordia goes way back, but his latest take suffered a serious mishap last year. Now he's starting the design over. 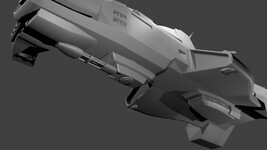 Rebuilding something from scratch can be a frustrating affair, but a recent surge of inspiration has helped deliver this exciting update. 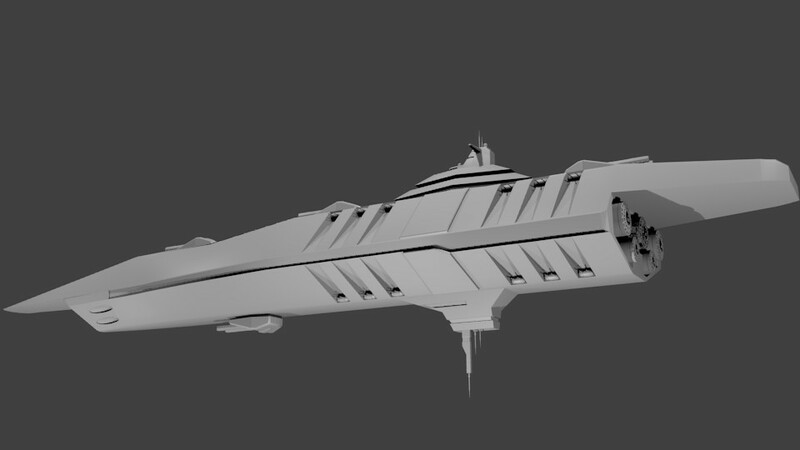 Now the majestic dreadnought is being put back together with more detail than ever before. There's some sharp Broadsword and Sabre escorts depicted here for scale, and even the phase transit cannon is back in the later shots. We can't wait until it's ready for action! The Big Box PC Game Collectors group has conducted another nifty Origin-themed interview, and the star this time around is Billy Joe Cain. Mr. Cain is perhaps best known as the lead designer on Wing Commander Prophecy, but one of his first projects was actually the creation of the (sadly, unreleased) Wing Commander 2 for SNES as well as the Playstation port of WC3. Billy has been a friend of the WC community online for many years, and he's got some great perspectives on the good old days at Origin. Check out the conversation below, or find an index with hyperlink to different discussion topics here. 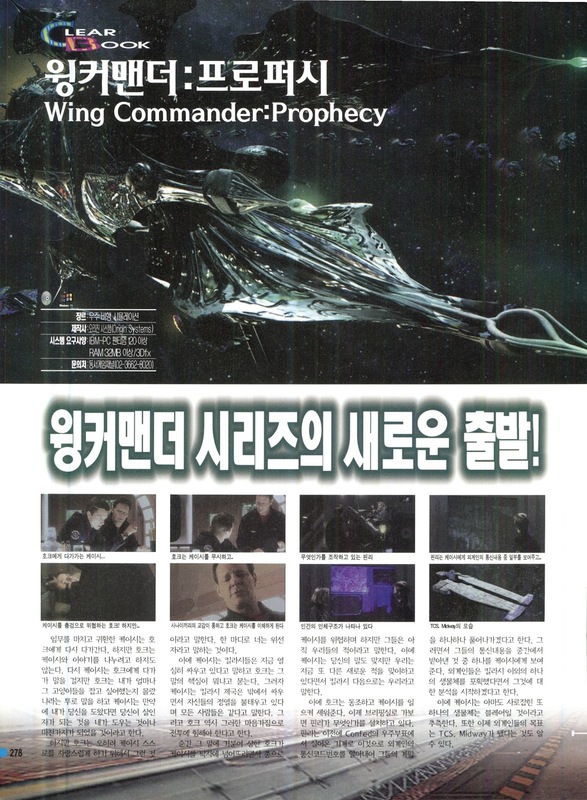 Forums member YPersonified has kindly provided a brief summary of the Korean Prophecy spread we reported on last month. Thanks! Wow. 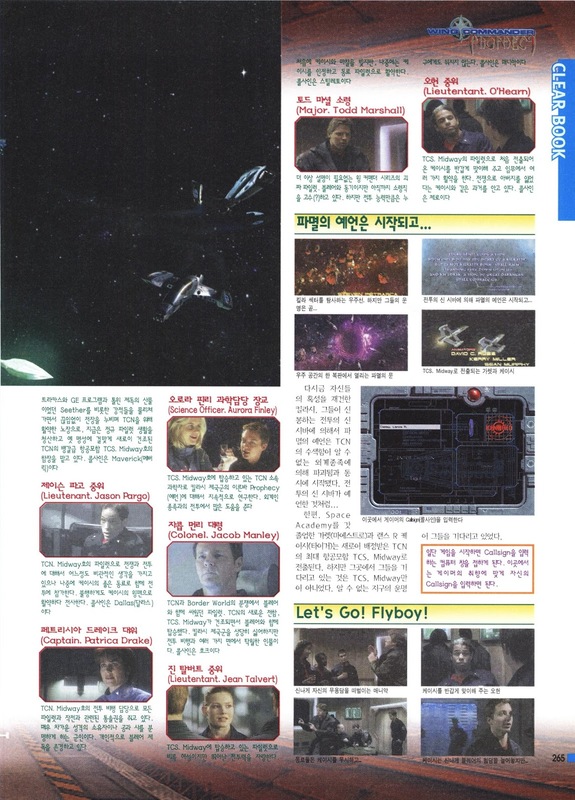 This is a brief review and game guides for WCP from April and May issues of the monthly game magazine called 'Gamepia' in 1998. 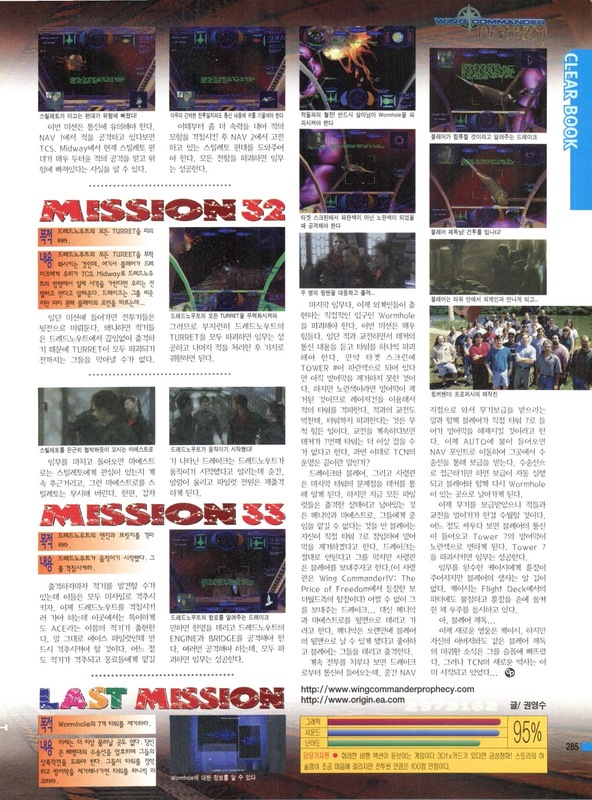 The article, except for a few paragraphs in page 1, provides you with informations of characters, storyline and notable tips for each missions. 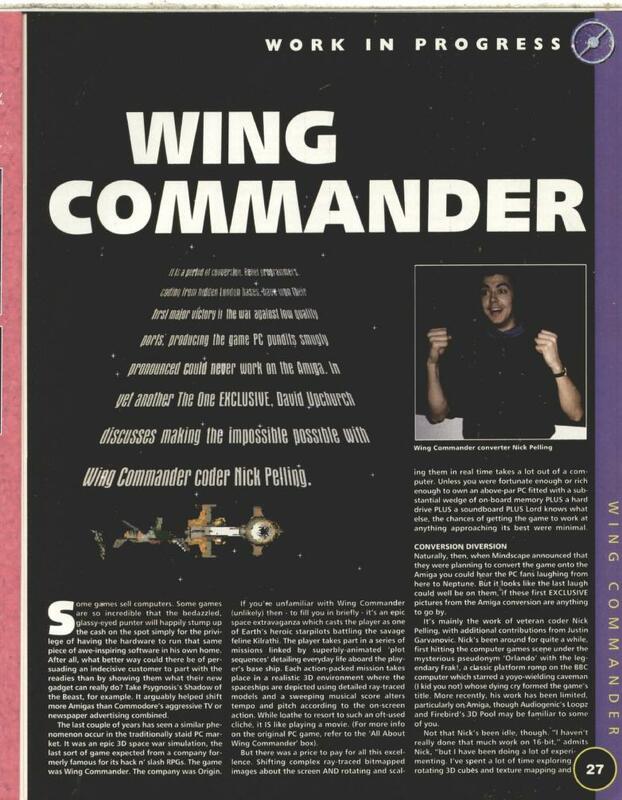 Page 1 talks about how WCP reflects Origin's efforts to come out of Chris Roberts' Wing Commander concept in making the game after he left (what this 'concept' means is never mentioned throughout the entire article, though), and focused on the aspects of sheer joy in space flight. 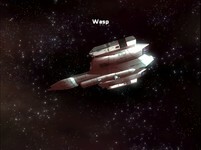 It says despite the flaws in storytelling, WCP succeeds in offering the pleasure from combat actions in space. 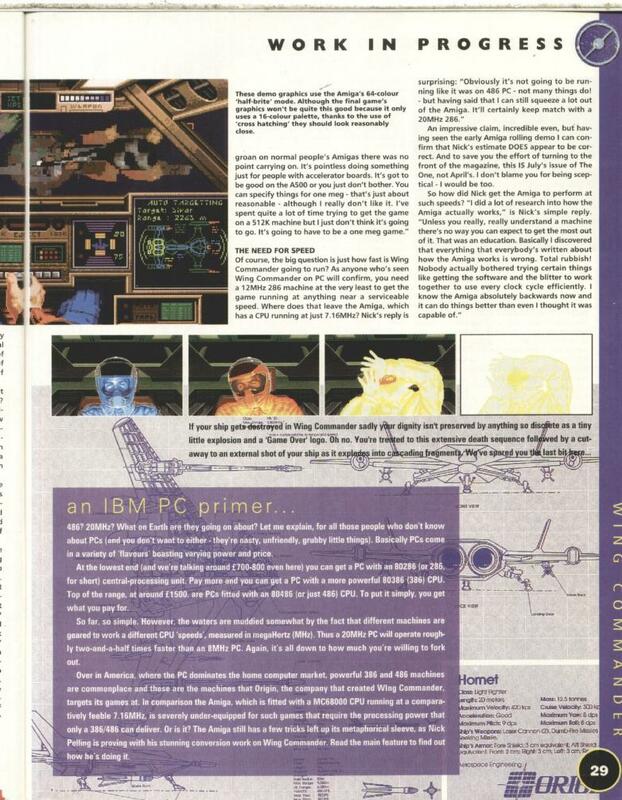 Red letters below the page mentions that players may experience a return to Windows 95 after rescuing Blair if the patch is not installed. 95% ratings on the last page doesn't say anything much different from what was written before. 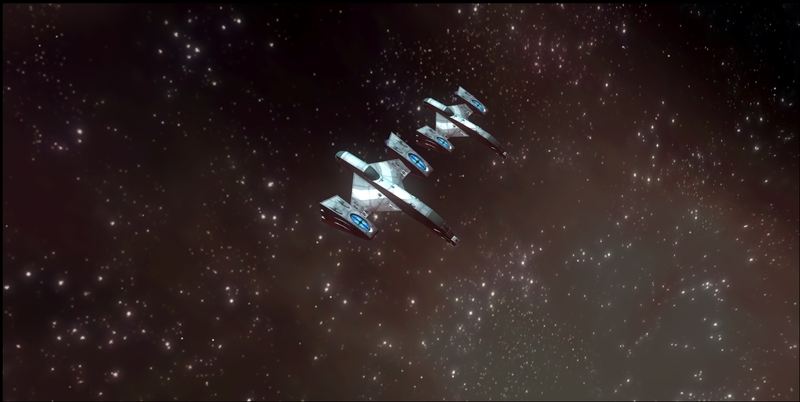 And some gorgeous in-game shots! 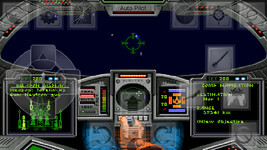 DOSBox Turbo has long been a popular option for getting classic PC games to run on modern Android devices, but it's not the only choice out there. Magic DOSBox is a relatively new entrant that takes game emulation in a different direction. Rather than focus on speed optimization or branching out to Windows compatibility, Magic DOSBox focuses on playability in the tablet or smartphone form factor. They've achieved this through the use of on-screen "widgets" that make accomplishing certain tasks much easier with a touch screen. Wing Commander is one of their prime examples, and the screenshot to the right shows how the lower left portion of the screen controls direction inputs while special transparent buttons can be customized for communications, auto pilot, firing missiles and other features. 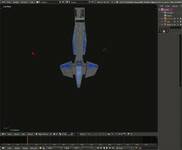 A video has also been created that shows how the virtual joystick works, and Privateer is featured there. Details on how to get started with the program can be found here and more how-to videos are featured on their YouTube Channel. 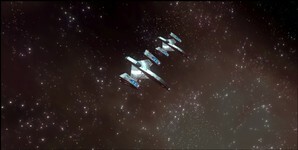 Andromeda Briggs has put together a thoughtful Wing Commander tribute video. His focus is, of course, on Freddie Prinze Jr's role in the WC Movie. A lot of work has clearly gone into this project to tease out more than four minutes of young Blair looking alternately pensive and emotional. I can't say what inspired him to wait until 2016 to put this together, but we thank him for the effort! And DI's take is below. 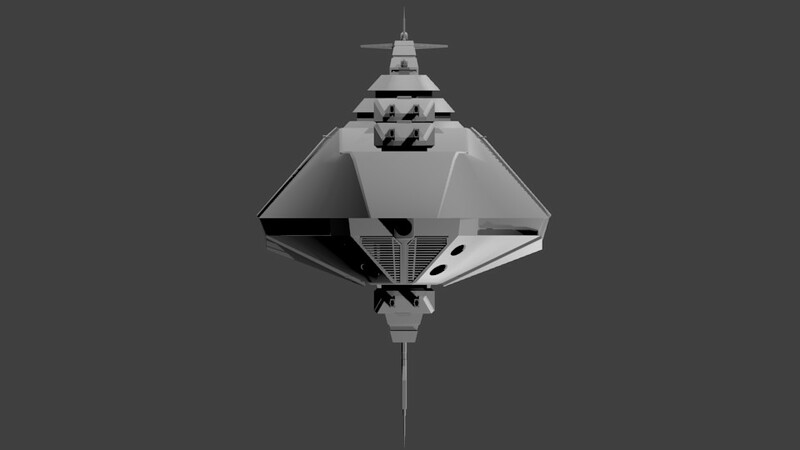 It turns out Cybot actually mocked up the ship at one point too. Clearly our home carriers have made a lasting impression on the minds of WC fans! 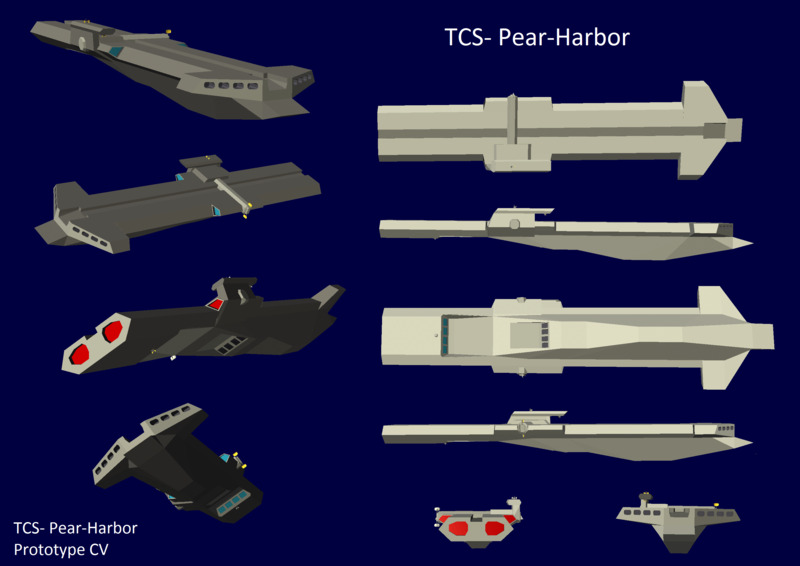 For reference, we've also included the final TCS Midway from Prophecy as well as the TCS Port Broughton from Wing Commander Arena. 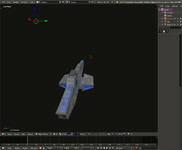 Kevin Caccamo has released a new version of Wing Blender. The program is a helpful tool for exporting and importing models to or from the Vision Engine into the open source Blender 3D modeling suite. 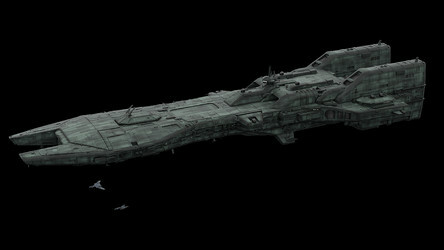 This potentially makes manipulation of the Prophecy and Secret Ops ships much easier. 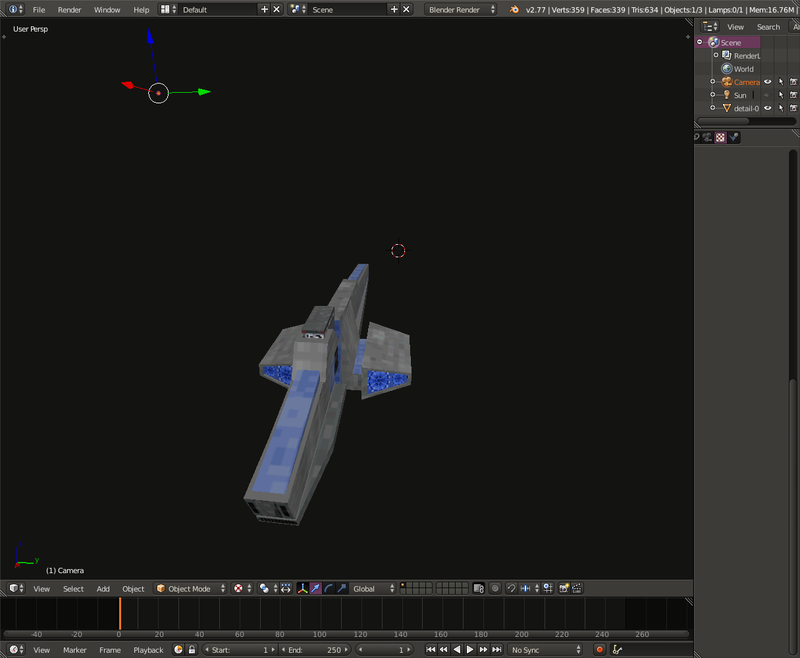 In version 1.6.1, the tool works with a broader range of models and eliminates an issue with duplicate textures. 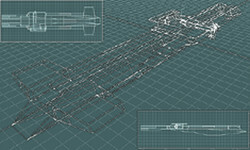 Grab the software and find a brief tutorial on how to use it at the project website here. Kevin's also looking for fans who might be able to help by testing the new release! 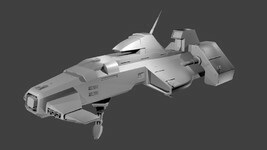 Extract the textures for this model. 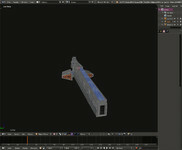 If you are using MAT files, place them in the mat folder, and the 3D model in the mesh folder. If you are using PNG, BMP, GIF, or another high-quality image format, place the images in the same folder as the 3D model, and give them the same name as the 3D model, except with numbers after them. 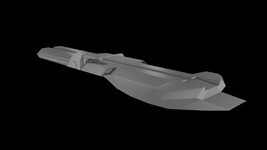 For example, if the 3D model is named GRIKATH.IFF, and you want to use high-quality images as textures, name the images GRIKATH1.PNG, GRIKATH2.PNG, etc. 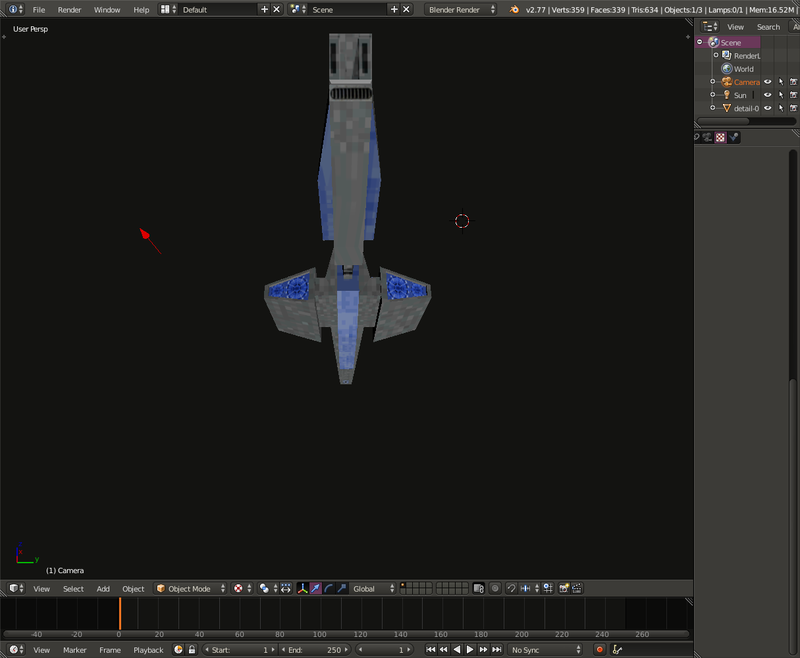 Run the importer script to import the mesh into Blender.